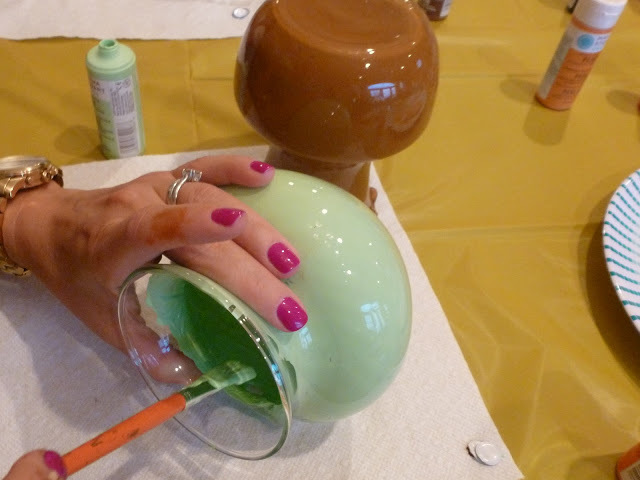 Our July Design Improvised DIY Night was all about turning the drab into fab by transforming plain glass vases into major pops of color for any room in the house. 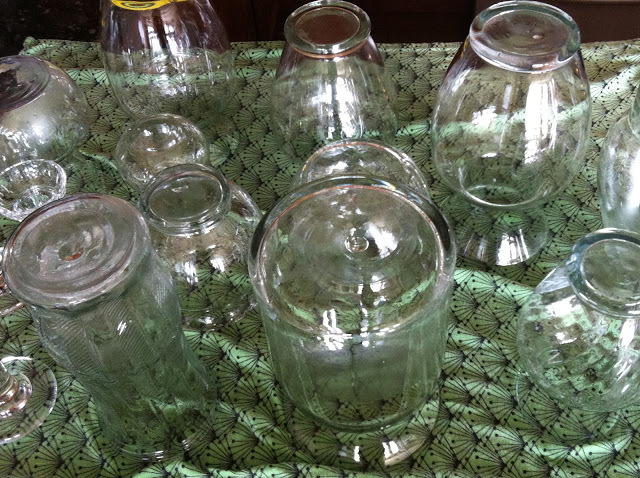 Who doesn’t have a few of these plain glass vases left over from a florist bouquet? I know I have a hard time parting with them. If you are like my mom, you might have a couple cabinets full! 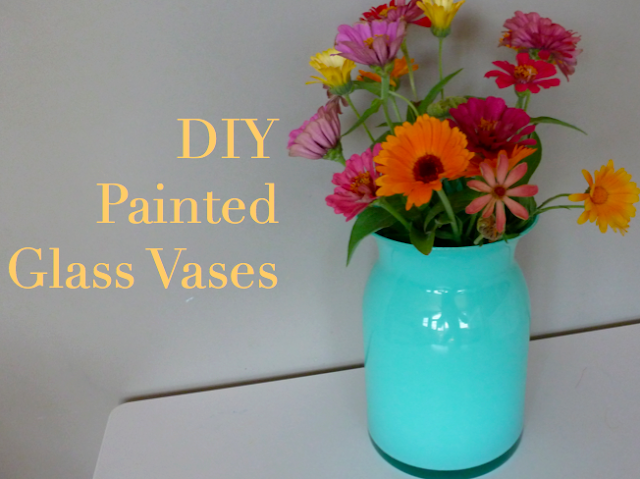 You can easily paint three vases under an hour (plus drying time), so go raid your closet, grab some paint, and get started! 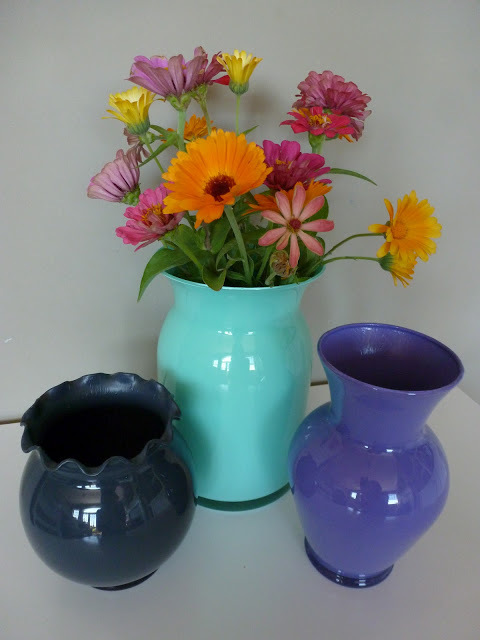 Make sure you start by giving the vases a good wash with hot soapy water. 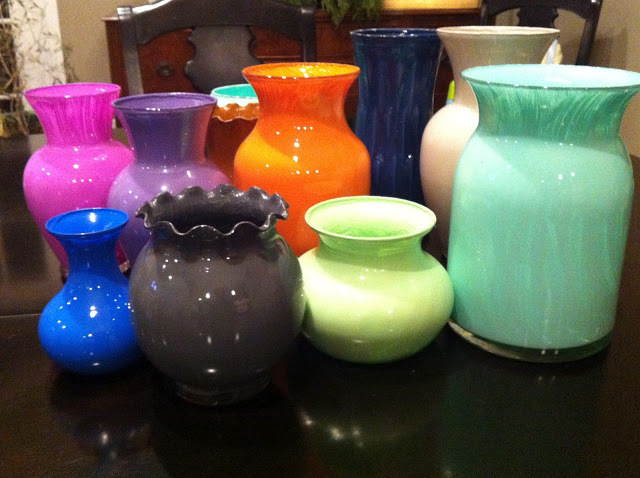 After rinsing them, pour a small amount of rubbing alcohol into the vase and swish around or rub inside with a paper towel. Then turn upside down and let dry completely. This step ensures that the paint will adhere nicely to the glass. 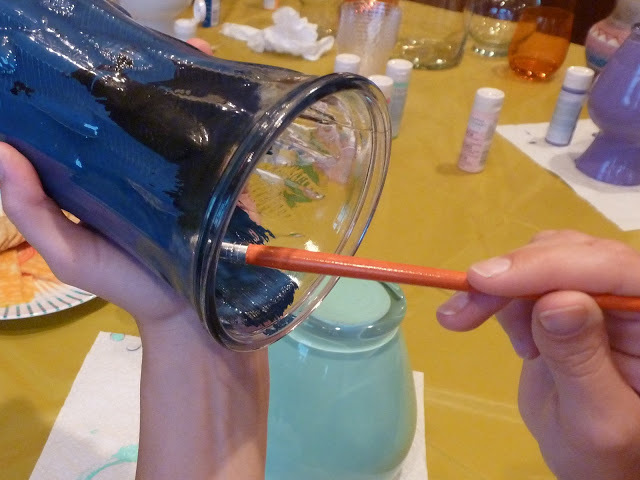 Add more paint as need to cover the inside of the vase – once you start making streaky brush strokes like you are pushing around paint it is a good time to stop with the first coat. You may need to do a second coat once the paint has dried completely (I would wait at least 24 hours before applying a second coat). 2. 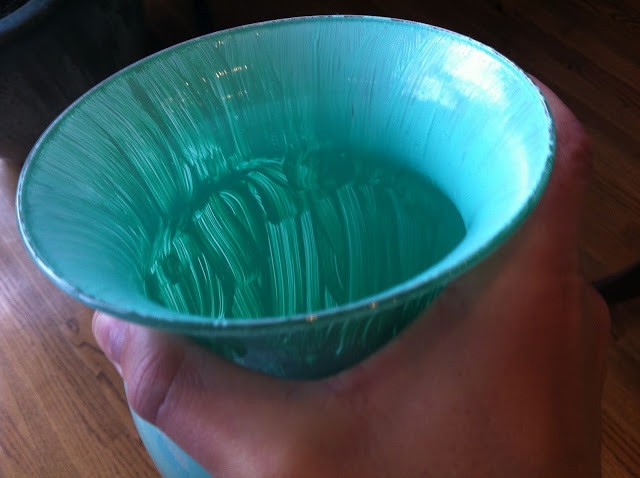 If you are painting a vase with a tapered neck, it is next to impossible to get a paintbrush to reach the narrow part. Be prepared to get dirty and use your finger here. We found it worked nicely! 3. As you’re painting, it is helpful to hold the vase up to a light to easily see where light is shining through and it needs more paint. 4. Make sure to let the paint cure fully (Martha Stewart paints require 21 days) before filling with water. 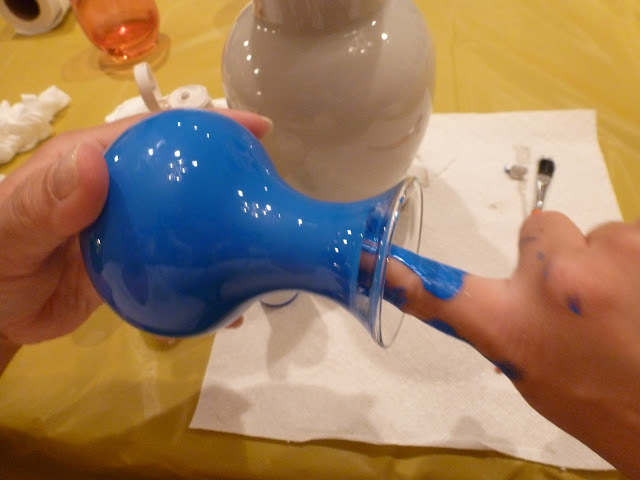 I am painting on the outside of the vase since I'm doing designsome. 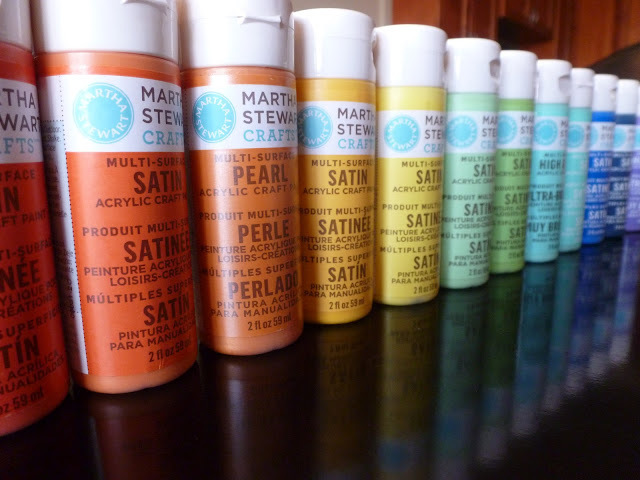 I am using the Martha Stewart satin paint. Any suggestions on how I can give it that glossy finish?